Satoshi Ochi will teach you how to become stronger and fitter on the tennis court through proper strength and conditioning training. 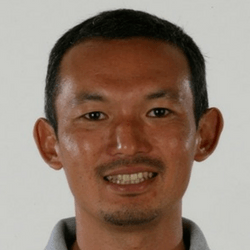 Satoshi is the Head Strength and Conditioning Coach at the USTA and is based at the USTA National Training Center Headquarters in Orlando, Fla. Satoshi oversees and manages Strength and Conditioning/Athletic Training staffs and programs for the USTA Player Development Training Centers. Since 2004, Satoshi has received the NSCA’s Coach Practitioner distinction, recognizing him as an elite strength and conditioning professional in the world. Satoshi also completed a strength and conditioning internship at the Olympic Training Center in Colorado Springs, Colo., during the fall of 1999. He was also a nominee of the 2001 NSCA College Strength and Conditioning Coach of the Year.